We’re so looking forward to having another professor in the studio! Judy is visiting us from Cambridge, Ontario, where she has taught in the Honours Art Program at McMaster University since 1983. Continuing a series of hanging fabric panels that incorporate appliqué and sewing, Judy will enjoying the creek and working on a continuing series of hanging fabric panels that incorporate appliqué and sewing. 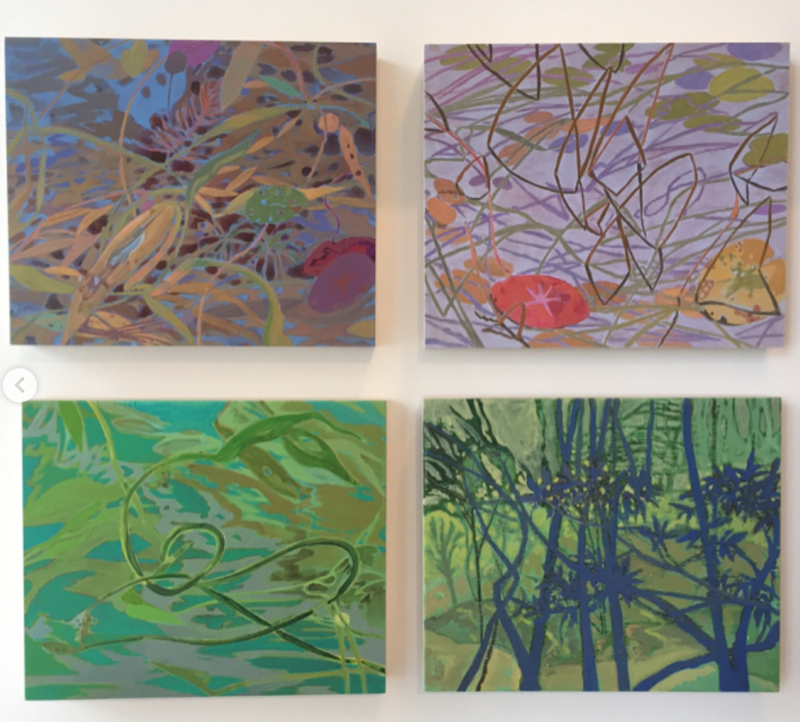 Join us during her stay for a talk about her work & recent series! Info coming this summer.